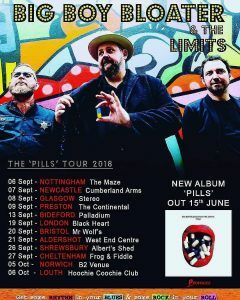 See Big Boy Bloater for only a £10 – only with Primordial Radio ! 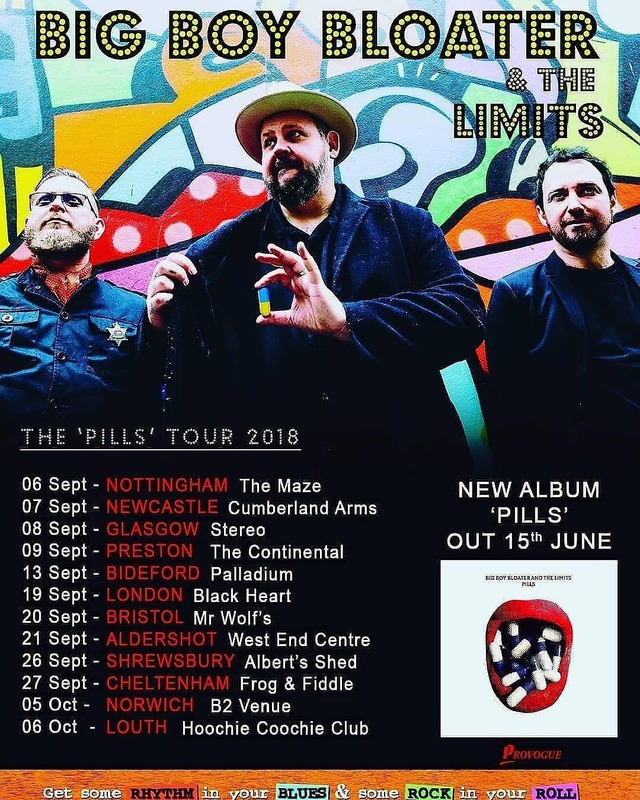 Big Boy Bloater played an OUTSTANDING set at the AGM & we’re offering YOU the chance to see him for just £10 on his “The Pills” UK Tour ! “The very good people at Primordial Radio have a VERY good membership offer for you! If you sign up to their FREE 30 day trial and become a member you can get tickets for selected shows (incl. London!) on the upcoming tour for just £10 A TICKET – no booking fee!! So that is a saving of *at least* £2.10 per ticket in advance, and even more on door price! So – you save money on the tour ticket, you get the best evening of rock’n R&B you ever heard, AND you get 30 free days of the banginest radio station out there (#notacult). It’s a no-brainer.